As CPS Energy has spent the last few months reaching out to customers to talk about the 4.25 percent rate increase, we’ve been asked why there is only one utility provider in the San Antonio region. That’s because the city of San Antonio made a decision in 1942 that has since paid $5 billion in dividends: it purchased the San Antonio Public Service Company, known as SAPSCOo. At the time, SAPSCo ran the city’s power plants, gas network, and streetcar lines. City leaders weren’t the only ones interested in SAPSCo, and the deal almost didn’t happen. But at the last possible moment, the city prevailed. As as terms were hammered out, officials included a key provision: the newly created City Public Service Company would hand over up to 14 percent of gross revenues to its owner, the city of San Antonio, a return on its $33.9 million investment. The money would go directly to the city’s general fund, where it’s used to fund police and firefighters, roads, drainage and other core city services. 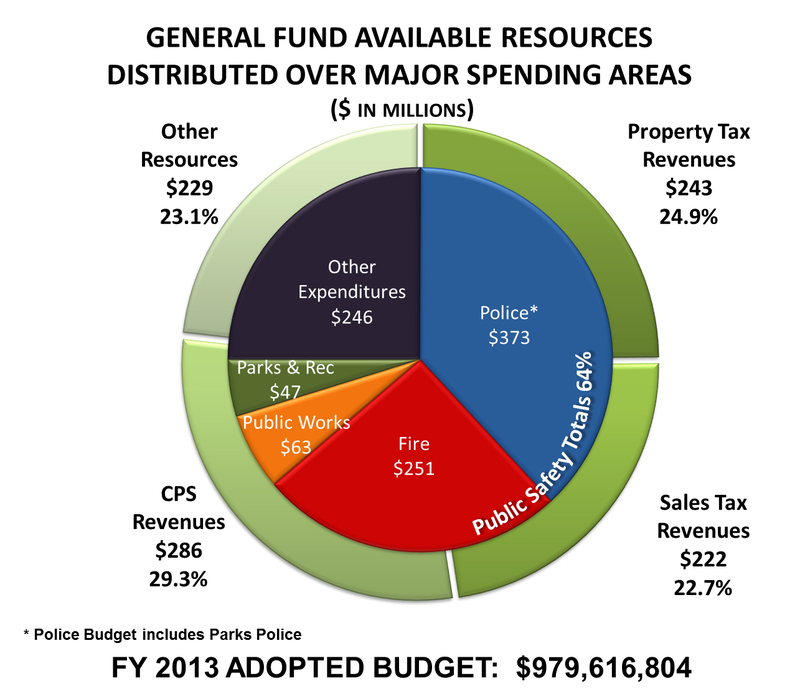 Today that revenue makes up fully one-third of the almost $1 billion general fund. If the city did not own CPS Energy, it would have to find other sources to provide its largest single revenue stream. The utility provides the almost $300 million a year to the general fund, dollars that pay for police, fire and other core services. That might mean higher property taxes or increased fees. The city is understandably proud of its record of not raising property taxes since 1992, even as San Antonio has grown, increasing the need for services. In the late 1990s, as the state of Texas decided to deregulate its energy market, the city of San Antonio studied whether to sell CPS Energy to a private company, pay off the debt and put the remainder in a trust. But the 1997 study found the city would have to get $16 billion for the utility to “reap the same benefits under the current structure,” according to a San Antonio Express-News story. The last utility to fetch that kind of price, the story said, was four times the size of CPS Energy. The city chose to hang on to its utility, as did the city of Austin. Had it sold CPS Energy, the utility would have been broken up, then sold to a for-profit company, which would have meant profits flowing not to city services, but to outside investors, with smaller amounts going to local property taxes or a franchise fee to the City of San Antonio. And while it is true that customers here don’t have a choice of electricity providers, San Antonio has something residents of other major cities covet–some of the lowest rates in Texas, and the lowest rates in the top twenty cities in the country. For those who wonder how they benefit even though they don’t live within the San Antonio city limits, ever drive across town on city streets? Attended a festival in a city par? used a library? Isn’t it good to know that the same dollars that pay your utility services (at rates lower than other communities) is also supporting the services our community needs? We see that as a win-win for customers: affordable, reliable power and revenues that help pay for the core city services they rely on.